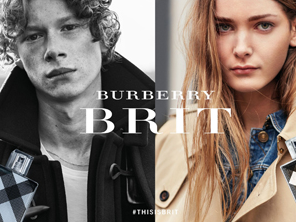 Burberry revealed a new Brit fragrances campaign shot by Brooklyn Beckham, following his first campaign shot live on social media in January 2016. Shot in London and featuring an all British cast of newcomers including Ben Rees, Lewis Helim, Todd Dorigo, Eliza Thomas, Liv Mason Pearson, Maddie Demaine, Carvell Conduah and Harry Pourdjis, the campaign launches across Burberry's digital platforms and in store from July. Customers will be able to choose their favourite Burberry Brit fragrances campaign images from a selection of 36 limited edition posters displayed at Burberry fragrance counters, select retailers and in Burberry stores.